What Does The DNC Deputy Chair Do? A Look A Keith Ellison's New Role. HomePoliticsWhat Does The DNC Deputy Chair Do? What Does The DNC Deputy Chair Do? Following the DNC Chair election, newly-elected Chair Tom Perez made an effort to unify the party by naming Keith Ellison the deputy chair of the DNC. The symbolism of this move has been the topic of debate among Democrats from all wings of the Party. In this article, I’ll examine this unprecedented move and answer the question: what does the DNC deputy chair do? Despite being the top competitors in a relatively friendly DNC Chair race, Tom Perez and Keith Ellison have a very good relationship. Their friendship became a big topic during the DNC Leadership Debate on CNN, when the moderators asked about a private dinner the two had prior to the election. Rather than indulge in conspiracies, the two were candid about their relationship and noted that they both would rather unify the party than divide it further. 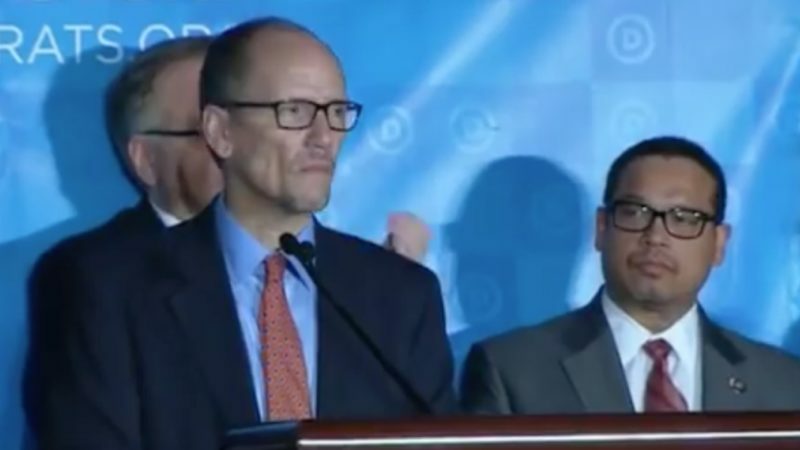 In a display of unity, Perez’s first action as DNC Chair was to name Keith Ellison as deputy chair. Though the sentiment was clear, the actual significance of this action is much in doubt. Many people are still wondering — what does the DNC deputy chair actually do? Let’s be clear — this type of motion is very uncommon. In fact, Perez actually had to suspend the rules to appoint Ellison to deputy chair. Some Democrats in the progressive wing of the Party were upset by Ellison’s defeat and feel like appointing him to “deputy chair” is a meaningless gesture. After all, there’s no clearly defined role for the “deputy chair” of the DNC because Ellison is the first person to ever have the title. That’s correct: Ellison is the first DNC deputy chair. Perez is doing what he can to alleviate any concerns. Perez recently stated that he wants Ellison to be the face of the DNC. Regardless of motives, the move towards unity received praise from many Democrats. Barack Obama, Hillary Clinton, and even Bernie Sanders, who endorsed and campaigned for Ellison as DNC Chair, came out publicly in support of the new DNC leadership. This DNC Chair race was seen as round two of the progressives versus the moderates for control of the Democratic Party. Despite another disheartening loss for the more liberal wing of the Democratic Party, most Democrats should be encouraged by the push for unity in a fight to win back seats in local and state governments.